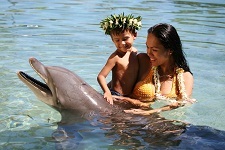 The Moorea Dolphin Centre within the Intercontinental Moorea Resort & Spa is intent on protecting the marine environment. This citizen company provides different programs adapted for children enabling them to get to know this environment, and to understand the important issues in protecting it. The Moorea Dolphin Centre pedagogical team is concerned about the essential message they want to give to the future generation. Therefore, they have set up various play and educational activities, devised by biologists and veterinarians. Within the framework of their school program, children from Tahitian and Moorea elementary schools are welcomed in this ecological centre. 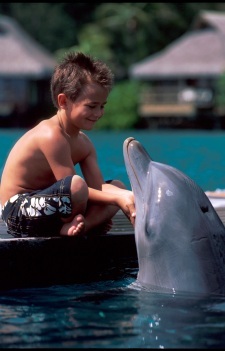 The contact with the dolphins is the most important thing. 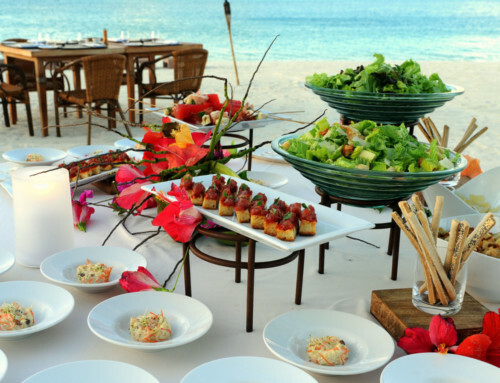 Therefore, the children are able to have a unique experience and also to realise how fragile the Polynesian lagoons are. The centre is open to everyone and offers various programs: getting really close to the dolphins and finding out everything about them, swimming while holding on to a dolphin’s pectoral or dorsal fin for an apnoea experience, enjoying a marvellous rendezvous with these mammals ! Come and discover or re-discover a fascinating and magical universe.